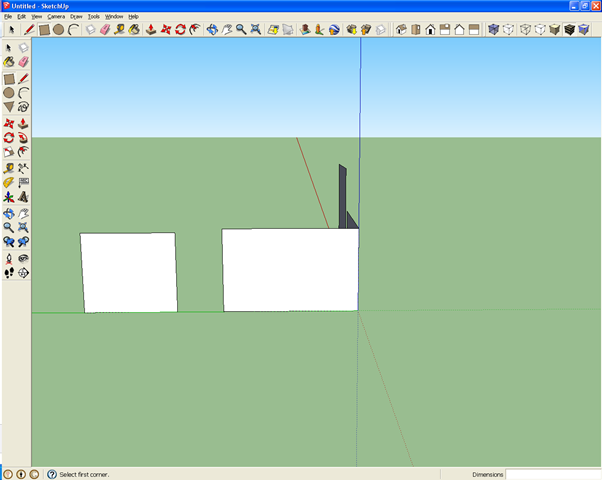 Home » Posts tagged "rectangle"
Sketchup is a nice 3D drawing program. It is also free. (Lets hope it will stay that way after Trimble bought Sketchup from Google). 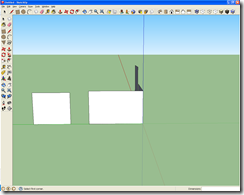 One very annoying “feature” of Sketchup that makes many new users abandon the tool is that there seems to be no way to control the plane you draw a rectangle onto (when using the rectangle tool). The arrow buttons don’t work (why?) and it seems arbitrary what plane the rectangle ends up on. Thanks to the nice people over at Sketchuation, I learned a secret: the rectangle locks on to the PLANE THAT IS MOST PARALELL to the PLANE OF YOUR SCREEN! TRY IT! Now the rectangles are drawn on the blue-red plane. 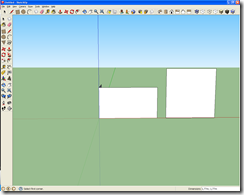 Now the rectangles are drawn on the blue green plane.